One of the problems the big-name jewelers that line Fifth Avenue in New York have long had is that their establishments are so intimidating people hesitate to cross the threshold on a casual shopping excursion to browse. 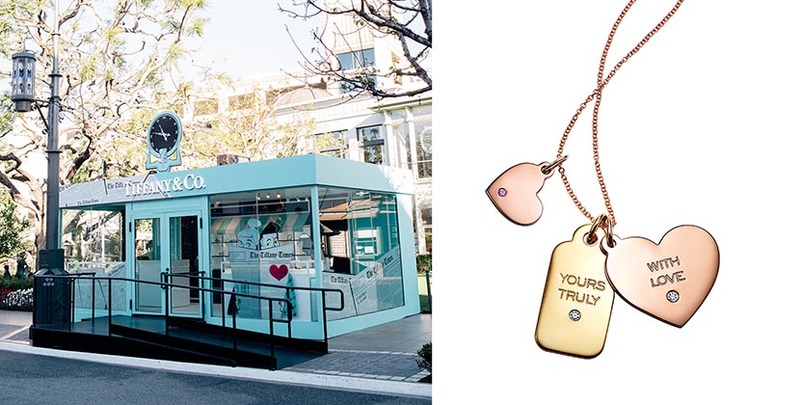 Well, Tiffany has totally removed any fear factor with its new pop-up at the Grove in Los Angeles. The adorable 200-square foot boutique on the lawn in the center of the Grove’s department stores and specialty shops has gifts geared toward Valentine’s Day. 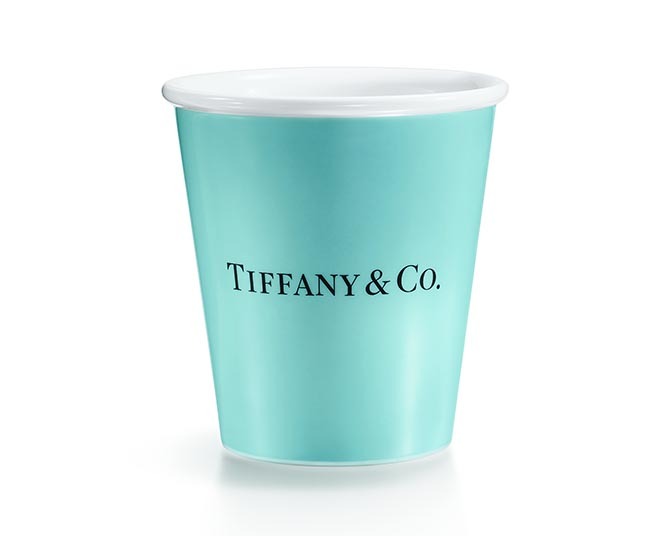 There are affordable items from the new Home & Accessories collection including the must have Bone China Paper Cups in Tiffany blue that are two for $95. Jewelry in the array is focused on charms and pieces that can be personalized by an engraver who is on the spot. Personal sketches can even be transformed on to a jewel. And there are exclusive charms to the space with LA specific sentiments, “Love Always,” and “Running Late,” a reference to the city’s famous traffic. The exterior of the shop is decorated with playful spins on New York landmarks. There is an illustration of a grand fountain. The Tiffany Times, a newspaper with all the jewelry news fit to print. An Atlas holds a clock on the front of the shop similar to the famous Greek god that decorates that façade of the flagship in New York. Perhaps the best part is the stickers shoppers are given when they visit the pop-up. People have been personalizing them placing on the back of the store. Creating a look that is reminiscent of that old New York street art of graffiti. Tiffany’s pop-up will be at the Grove until around the end of February 2018. What Was The Message of Greta Gerwig’s Vintage Tiffany Jewel?